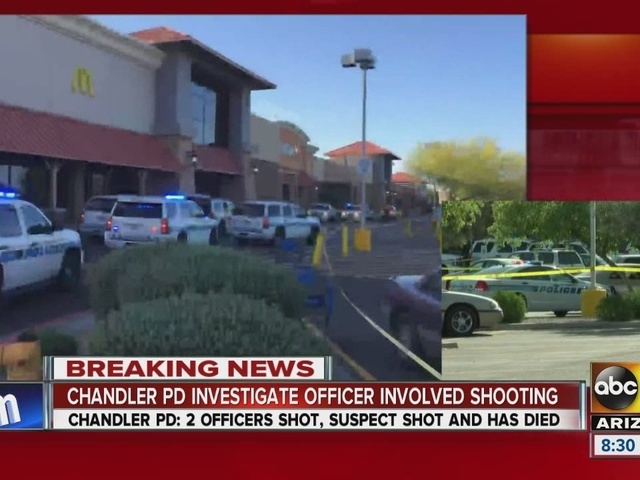 Police are investigating a deadly officer-involved shooting at a Walmart in Chandler, and officials are saying the shooting looks like an "ambush" on Chandler, Ariz. police. 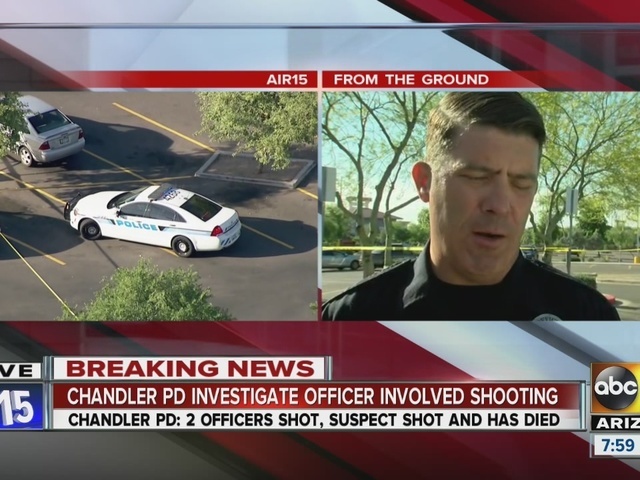 Chandler police said the incident happened after 6:20 a.m. on Saturday. According to the Chandler Police Department, a Walmart employee saw a man trespassing on the premises. The man had previously trespassed the same location before, officials said. Police identified the suspect as Mitchell Oakley, 24. Oakley has ties to the Chandler area, and is believed to be a transient. Two officers were called out and when the first officer arrived, witnesses saw Oakley fire at the officer. 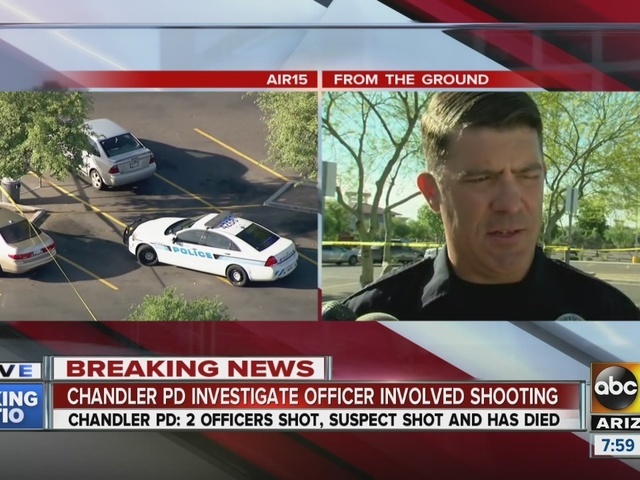 Chandler police said an "ambush" on the officer occurred and he was shot in the face. A second officer responded to the scene and fired back at the suspect but was also shot by Oakley. Officials told ABC15 the second officer shot and killed Oakley who was pronounced dead at the scene. 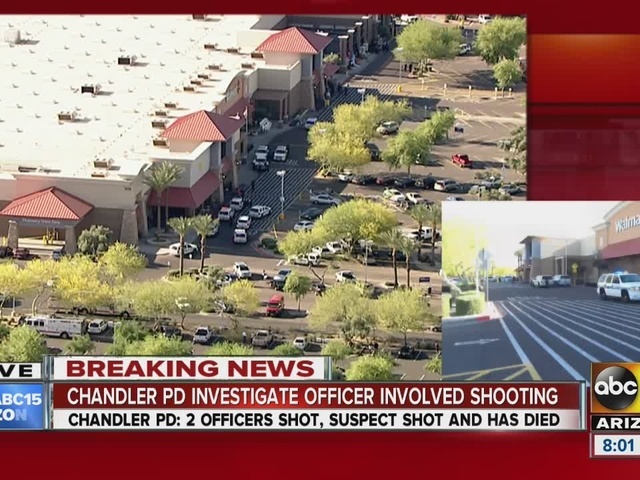 Both officers were transported to the Chandler Regional Medical Center where they are both in stable condition after being shot multiple times. The first officer underwent surgery, it's not known what medical procedures the second officer underwent. Saturday afternoon, chief Sean Duggan said one officer had been released from the hospital and the other remained in the ICU. Both officers were wearing ballistic vests at the time of the shooting. 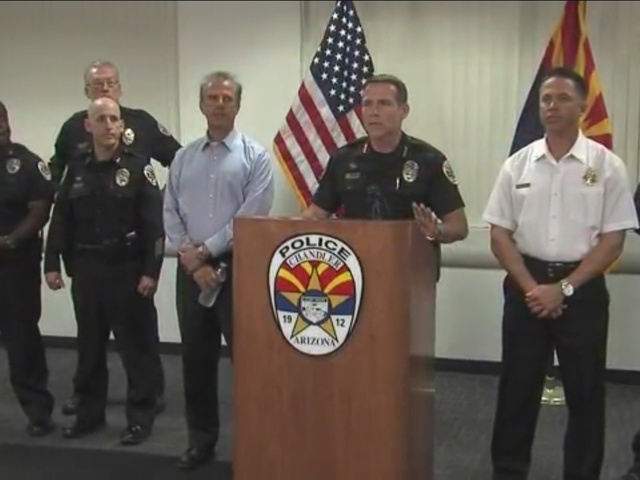 Officials tell ABC15 both officers in Saturday's shooting have less than five years on the force. In a press conference, police said one of the first people to render aid to one of the injured officers was a citizen who was at the scene, and dispatchers received dozens of 911 calls about the shooting. Both our officers are in stable condition. Thank you for your prayers. Oakley has three previous felony convictions in Arizona, according to the Department of Corrections, including one for destruction of jail property in 2013. Online records indicate he was released in March 2015. The store is closed while officials complete the investigation.